Melty Way never got to be a sticker, but if it had, maybe it would have looked like this. 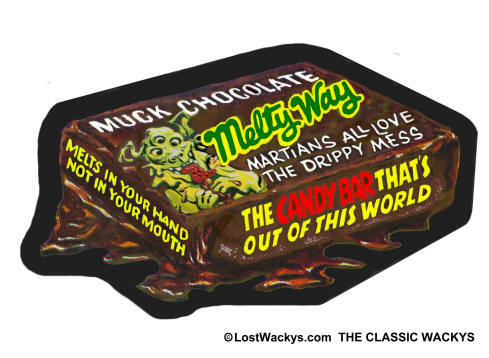 Mars Candy was a little late with their "cease and desist" letter, and the order to pull Melty Way didn't arrive until after the Wacky Ads issue had ended. It did however, keep this wacky out of the 1973 2nd Series. The alien on the Melty Way wacky is named "Spa Fon of Barsoom". 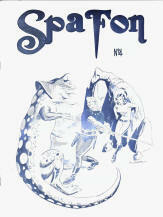 "Spa Fon" and "Squa Tront" were common phrases spoken by aliens in 1950's comic books, and they even became titles of fanzines in the 1960's.